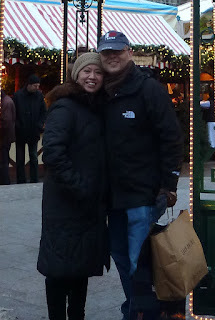 Hotel publicist Sharon Samarista and her husband Oliver Beigel in Germany. WHEN you are many miles away from your homeland, you can’t help but feel somewhat nostalgic and start missing the many things that make the Christmas season so special and festive in the Philippines. 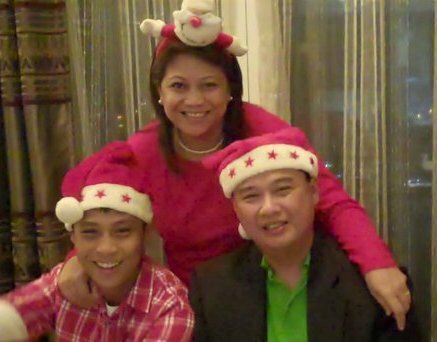 Of course, there are a few who say that because they are with their families with whom they practice Filipino Yuletide traditions—like attending Simbang Gabi or dawn masses or partaking of the usual holiday dishes—they rarely miss the Christmas rush back home. Here, we conclude this two-part series with some more kababayan scattered around the world talking about how they now spend the holidays, and what they yearn for about Christmas in the Philippines. CHRISTMAS is always about being with family and friends. Because I have been away from home for many years, I try not to be sentimental during Christmas. I keep the celebration simple and use the entire day calling family at home and friends all over the world. In the recent years, I celebrated Christmas by going to church and having a lovely dinner with my husband, Oliver, in a hotel or restaurant. Writer/artist Mar-Vic Cagurangan (far left) and family. I certainly miss the Christmas rush in Manila. I used to have a long Christmas list and shop for so many friends and family members. I love the Christmas bazaars and late-night shopping. These days, I write cards and e-mails. I miss going to the traditional family get-together in my uncle’s place and listen to screaming nieces and nephews who are now grown up. And there were so many Christmas reunions and get-togethers, staff parties and preparations for dance numbers where I would always end up embarrassing myself. Above all, I miss my family. 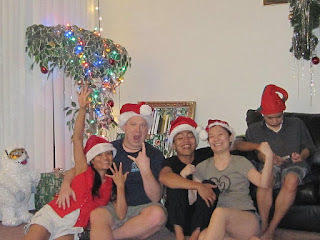 I miss cooking a big Noche Buena feast together with my siblings in our home in Legaspi and attending Christmas evening mass. I miss my ate’s pastel de lengua and my mom’s macaroni salad. Next year, I have to go home. 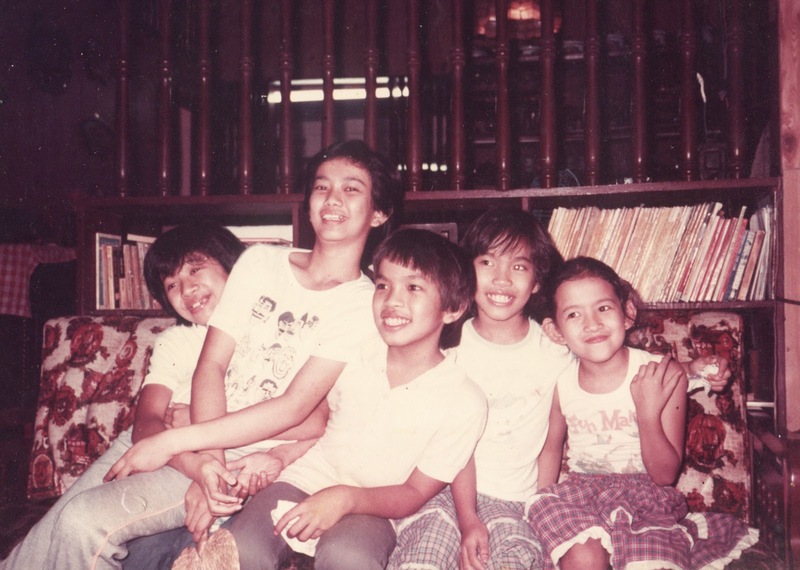 A very young May Agaran (far right) and her siblings. I WOULD’VE said I miss spending Christmas with my two sons, but since they have joined me in Guam, I can’t say that anymore. I have been in Guam for nine years and this is the first time I am actually celebrating a traditional Christmas. The first time I bought a fresh pine tree and decorated my house with lots of Christmas lights and other Christmas stuff. 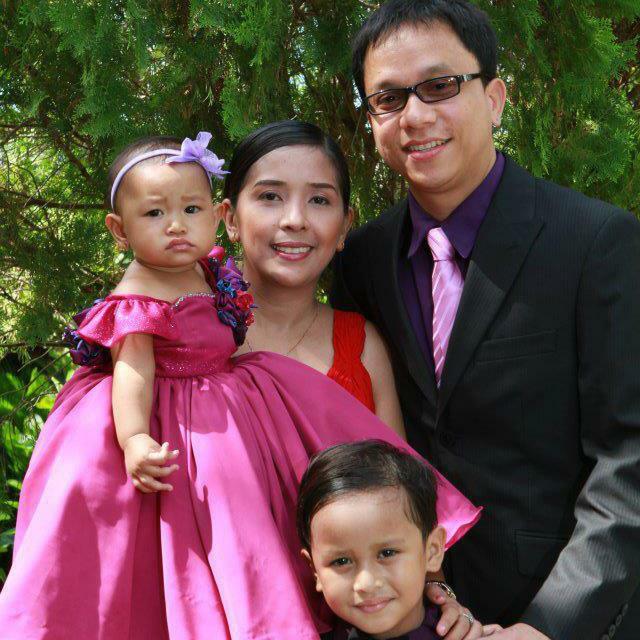 Former Manila-based journalist Dennis Serfino, wife Portia, and their cute toddlers in Phoenix. I MISS going to Simbang Gabi and singing with the choir, eating goto, puto bumbong or bibingka after Mass, seeing parols twinkling outside homes, the sound of Pinoy Christmas songs (not the cheesy or recycled ones though). Most of all, I miss having a complete family—my two nanays, tatay, tiyo and my four siblings. I miss us having Noche Buena together and the little traditions we used to keep. I haven’t really celebrated Christmas since 2004, because I will always associate it with the loss of my nanay who died of leukemia and passed away just before the New Year. WE can replicate family, kris kringle and Noche Buena here in the States, but only in the Philippines can one quite literally feel Christmas in the air—the weather is pleasurably cooler, the surroundings livelier, businesses busier, and the people just generally happier. Publicist/PR specialist Popoy Los Baños, wife Elle, and their son Yuji in Dubai. IT was raining this morning (December 17), a rare occurrence in Dubai. Last night was the second Simbang Gabi in our parish. 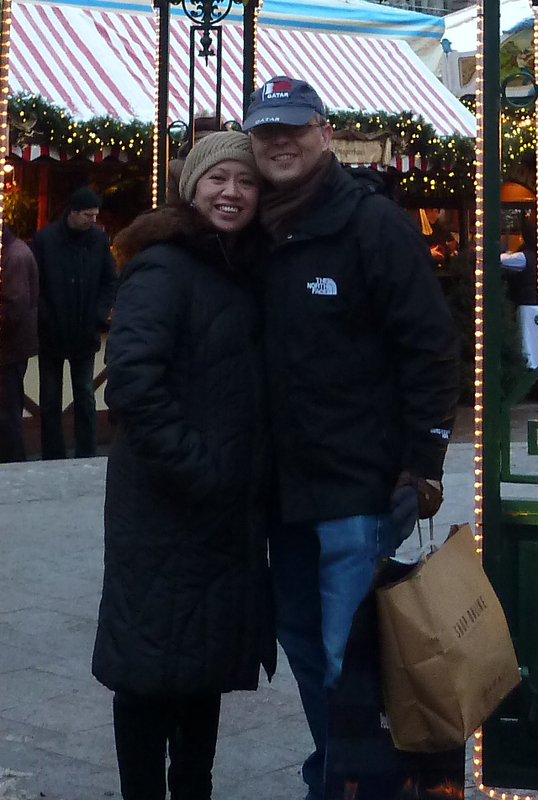 Since I am with my wife and son, we don’t really miss Christmas back home. Dubai has changed in the past decade. Back in 2001, almost all malls and hotels did not display Christmas trees. Now even commercial buildings and small grocery stores have Christmas decorations. WE remember the unique ways we celebrated Christmas back home. 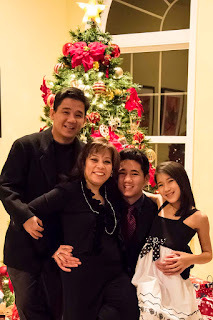 Dentists Rod and Gail Tanchanco, with their kids in Delaware. It began with the distinctively Filipino parol that would begin to adorn every home and create a festival of vibrant, colorful and animated lights and shapes. Every year we would vow to complete all the pre-dawn masses of Simbang Gabi. Every year, we would fall short. But on the drowsy mornings that we did manage to attend, the aroma of freshly made bibingka and puto bumbong would waft in the air and make that early morning ritual worth the effort. We remember caroling at friends’ houses and singing Filipino carols, as well as classic Christmas canticles. Christmas Eve culminated in the Midnight Mass followed by Noche Buena. This meal would include Chinese ham, queso de bola, chicken macaroni salad and fruit salad. Extra treats would include special holiday fare such as roasted castañas, apples and grapes. Christmas morning was always a frenzy, and it seemed to worsen the older we got as we impatiently ripped open our presents, followed by good-natured bashing of each other’s gifts. We may be 18,000 kilometers and 20 years removed from the Philippines, but at least we still have a parol, still eat chicken macaroni salad, queso de bola and ham for Noche Buena; we still go to Midnight Mass, and still get delirious on Christmas morning. This holy season remains special in our adopted country, and it will always have a Filipino flavor in our home.